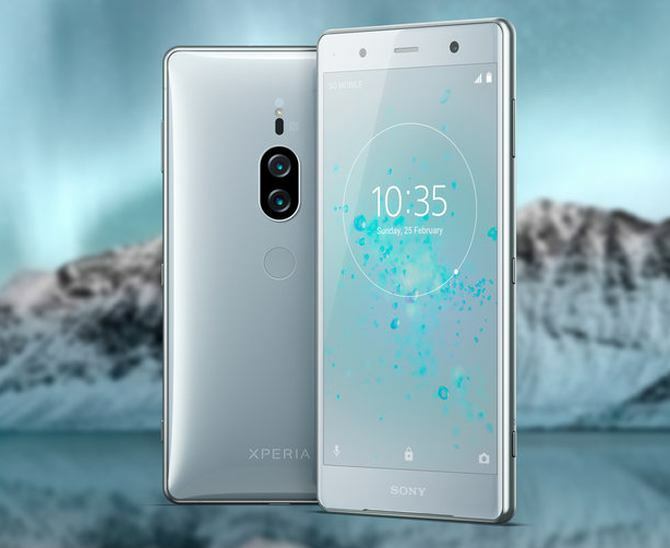 Sony officially launched its much-awaited product, Sony Xperia XZ2 Premium recently. The phone is granted its specialty in being Sony’s first ever dual camera phone. The brilliant spec features no doubt give the phone an upper hand over all its counterparts. The latest in the XZ2 series, premium ups the ante with dual sensors on the back camera and ultra-low light capture features. The latest addition to Sony’s line of products boasts of a 19 megapixels back camera and a 13 megapixels front camera. The back camera has been granted two super-quality sensors. One black and white sensor to capture contrast and another 19 megapixels color sensor to click the colors at their best. The camera is designed with a precise and high sensitivity of ISO 12800 for clear and high definition video recordings. The phone also boasts of a high-sensitivity of 51200 for stills and photographs. The powerful camera engrafted on the phone enables users to make quality videos as well as click super clear, high-contrast pictures which were previously only possible when you were using a DSLR camera lens. Sony claims that this product, with its motion eye dual cameras, will offer the users the quality that a camera with interchangeable lenses provides. The lenses featured in the XZ2 Premium use ultra-low light capture technology to enhance video and picture quality and also provide the users with a bright live view-finder to click near real-life pictures. Both cameras front and back are equipped with sensors making use of the Exmor RS for mobile memory. The black and white 12 mp sensor features a pixel pitch of 1.55micrometres. It also comes equipped with the F1.6 high-end Sony G Lens. The color sensor, on the other hand, features 1.22 micrometers pixel-size and an F1.8 Sony G Lens 25 mm in width. Apart from these two sensors on the back camera, the 13 megapixels front camera uses a low-light sensor and a front flash for splendid selfies any time anywhere be it in the portrait mode or the good-old monochrome mode. The video support of 4K HDR takes the utility of the camera phone to another level with the super-slow motion of 960 frames per second to the awe of the capturer. Brilliant on the camera front, the phone also comes with sufficient memory to store all your data. With a 6 GB RAM, the phone gets as robust as it could be. The 5.8 inches 4K HDR display is about an eleven percent enhancement over the previous versions from Sony. The thirty percent brighter display is backed by the usual Sony BRAVIA working in sync with the X-reality engine. The phone boasts of high-quality, S-force front speakers, the loudest yet by Xperia. The phone also comes with LDAC, Hi-res Audio alongside DSHEE HX. The 3540 mAh Battery promises longevity and durability. The device comes in chrome black and chrome silver with 3D glass display. The Snapdragon 845 chipset with X20 LTE enhances cellular performance and connectivity. One deficit in the phone is the lack of a headset jack which the company plans to level with a dongle. With all its features otherwise, Sony Xperia XZ2 Premium is all set to capture the market through its awesome lenses.